The Maker Movement isn't brand new. But if you're only just hearing about it, you're not alone. These kinds of trends and movements take time to gain traction, which means they've begun to gain credibility. If you're not familiar with the Maker Movement, let me offer a very short primer. The Maker Movement, in my opinion, harkens to an earlier time when necessity really was the mother of invention. Keep in mind the first individual to say this might have been Plato The Republic, Book II in approximately 360 BCE. My point is that the thinking isn't new. What is different about today's Make Movement is that invention isn't necessarily because of necessity, but often because of "what if" thinking, which is, in my opinion, even more interesting and exciting. For those who have been in education for a bit of time, you are familiar with constructivism. Maker culture is constructivism writ larger; it emphasizes the value and importance of learning through doing. It's project-based learning, and more. The genesis of the maker culture is deeply rooted in technology. Hackers, who are not always bad guys, by the way, are informally networked and share their learning, skills, and cool tools. They explore for the sake of exploration: "what if?" thinking is the norm for them. They explore different ways of working and doing, plowing through or tearing down walls that provide potentially artificial constraints of interaction and interplay. Earlier this year there was a first-person article explaining the value of the Maker Movement. Mr. Bajarin (@bajarin) quoted an Adweek definition, which suggests the concept is already moving mainstream. The result is that more and more people create products instead of only consuming them, and it’s my view that moving people from being only consumers to creators is critical to America’s future. At the very least, some of these folks will discover life long hobbies, but many of them could eventually use their tools and creativity to start businesses. 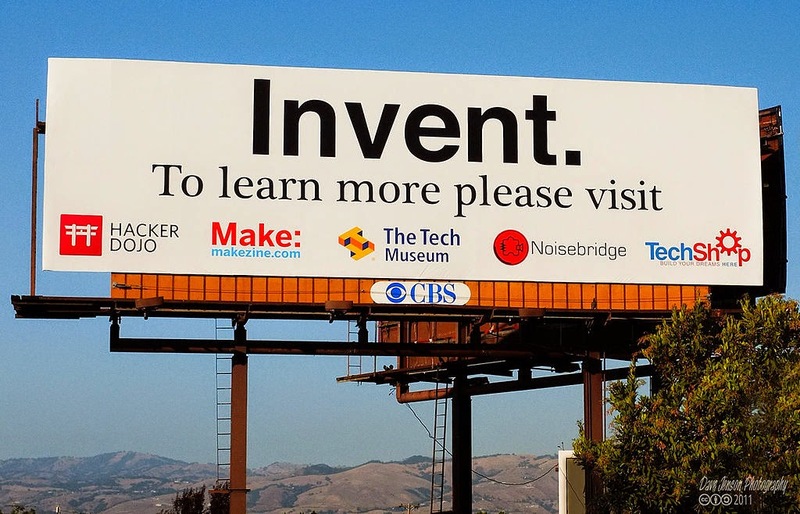 And it would not surprise me if the next major inventor or tech leader was a product of the Maker Movement. So the Maker Faire is what exactly? Well, you've made stuff and now you want to share it with others. Sure, you could go to your local craft fair and maybe get a few people to come to your booth. But as the Maker Faire folks describe it, the Faire is the biggest "show and tell" on Earth. What's more important, if not most important, is that the Maker Faire encourages "innovation and experimentation across the spectrum of science, engineering, art, performance and craft." It's fairly new (2005) but it's not local. Why does this matter for education? Well, it's a natural step for those who are already implementing project-based learning because PBL invites, if not expects, students to work cross-curricularly. Perhaps they're working on a history project, but they will include, at the very least, science, math, literature, and media of all kinds. But why does it matter for learning? Because all along we tell kids that they need to learn stuff like algebra and science and how to write and how to argue and more because they'll need it "some day." Pffft. That's too ambiguous and too far away. If they're working on a project, they'll end up drawing on knowledge from various content areas and having to research in various content areas without differentiating that now they're doing math, and now they're doing social studies, and now they're doing English because they're writing or reading. More significantly, the learning is not "some day," but right now. Why else does it matter for learning? Because the skills they develop, and the occasional thrill they might experience through discovery and experimentation, will be useful throughout their lives. . .in school, in work, in their day-to-day lives. And they begin to experience that learning is not compartmentalized after all but often a jumble of interactions and intersections. What prompted this is a tweet: "When kids making thing to be seen by other kids they want to be good, when just for teacher just good enough." I don't know the originator of that statement and it doesn't really matter. I don't think it's completely true. Yes, when kids are making things to be seen by their peers, they may work harder. If they respect their peers. But if they respect their teacher and if their teacher is a good coach and learning facilitator, they'll work hard to produce something that will be excellent. And not just because they want a good grade but because they want the approval of the teacher. Ideally kids would learn to make stuff to please themselves and because it satisfies a curiosity itch. Setting aside the concerns about assessment (as if we could really do that), what's the most important is encouraging kids to be makers. Not necessarily on same grand Maker Faire scale, but developing the skills need to be makers through creative problem solving and because they wondered "what if? ".